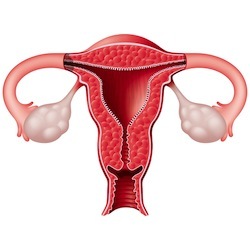 Antral follicle count (AFC) is the most effective predictor of ovarian response, according to a study published in the Journal of Southern Medical University. Researchers compared ovarian response to various factors, including anti-mullerian hormone (AMH), follicle-stimulating hormone (FSH), estradiol level (E2) and luteinizing hormone (LH). The study involved about 330 female patients participating in oocytes retrieval. The women were split into three groups based on ovarian response – poor, normal and high response. Estradiol level was the only measurement that did not predict ovarian response, but the most effective was AFC. Combining FSH, AMH and AFC was ideal for predicting poor response, but high response was not predicted with these tests. Conclusion: AFC is the most effective test for predicting ovarian response prior to oocytes retrieval. FSH, FSH/LH, AMH and age were also good predictors. Source: He YX, Xia R, Chen X, Ye DS, Tang Y, Li P, Niu J, Chen SL. Estimation of ovarian response using multiple predictors of ovarian reserve in women undergoing in vitro fertilization-embryo transfer. Nan Fang Yi Ke Da Xue Xue Bao. 2013 Feb;33(2):216-20.